Located at the heart of Manchester city, Affinity Living Riverside is an exclusive fully-managed waterfront development that combines the finest build quality with luxury services and amenities. 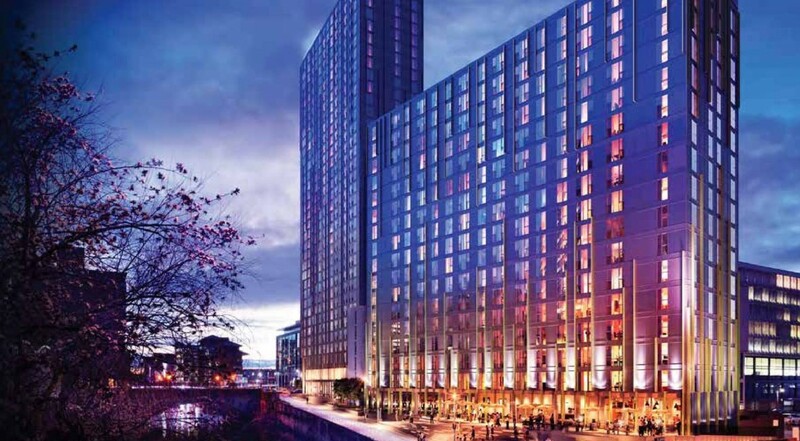 Rising beyond the banks of the River Irwell, this new residential apartments spans 188 units over 16 storeys and boasts spectacular waterway views. Apartment units are larger than the market standard, with more liveable square footage than that of market competitors. Each unit is fully kitted out with quality fittings, making it easy for tenants to move in immediately. Affinity Living Riverside’s exclusive features include gyms, private dining rooms and cinemas. The residence’s verdant public realm terrace is connected via a riverside footpath to Manchester’s current premier social and commercial hub – Spinningfields. Affinity Living Riverside is Manchester’s most exciting residential project yet, catering to the growing rental market in the UK. – 70,000 new jobs will be created by Greater Manchester’s financial and professional services sector by 2025.